Published Sep 19, 2018; last updated Apr 3, 2019. First things first — we have nothing but love for Excel. There’s no doubt that this popular spreadsheet program makes it much easier for people to manage all sorts of data. And Excel can be a lifesaver for small business owners who are just getting started and have limited resources. The program offers a straightforward solution for tracking customer data, creating charts and graphs, and using formulas to complete quick calculations. Yet as your business grows, you may find yourself needing additional features and more advanced functionality. For all of its benefits, running your business with Excel alone definitely has some limitations. That’s why smart business owners should consider utilizing a customer relationship management system (or CRM) instead. A CRM offers far more features than a simple spreadsheet possibly could, allowing you to streamline your day-to-day tasks, work more efficiently, and keep all of your information organized and easy to access. If you’re at the point where Excel is no longer working for your organization, consider this your gentle nudge to find a new solution. Here are six reasons why you should switch from Excel to a proper CRM. Many small businesses rely on Excel spreadsheets to track sales leads because it’s the only logical place to store them. After all, leads haven’t yet become paying customers, so it doesn’t make sense to track them in your accounting software. But using Excel for this purpose can quickly become frustrating. Although spreadsheets can physically hold plenty of data, you have to scroll to view it all. In addition, trying to enter detailed notes (for example, a recap of a phone call with a lead) in a tiny spreadsheet cell is a less-than-enjoyable experience. In contrast, CRM software offers much better tools for lead management. These programs are designed to store detailed information about your potential customers, from their name and address to how qualified they are to what products and services they’re interested in purchasing. Some CRMs also let you add custom fields so you can track any other data relevant to your business. The centralized nature of cloud CRM software makes it easy for busy sales teams to keep track of who’s communicating with which leads. Even better, you can schedule automated reminders for individual reps to make sure someone follows up with every prospect. Ready to upgrade from sales spreadsheets? Excel is designed to work well with other Microsoft Office products like Word, Access or Powerpoint. But if some of your business operations rely on non-Office software, transferring information between programs is a hassle. Whether you’re re-typing things from scratch, copying and pasting data, or emailing files to yourself or others, using programs that don’t communicate is costly and inefficient. Many CRMs are designed to integrate seamlessly with other common business applications. For example, Method:CRM has a powerful two-way sync with QuickBooks. This integration allows you to enter customer and accounting data in either program and immediately view your changes in the other program. And the possibilities don’t stop there — CRM software can also integrate with your favorite calendar tool, email provider, or email marketing program. All in all, being able to share lead and customer data between applications streamlines your work and saves you plenty of time. Using Excel on your personal computer is all well and good. But things quickly become messy when you pass spreadsheets back and forth with colleagues, customers or vendors. If multiple people are working in the same document at the same time, it’s tedious to track all of the changes. 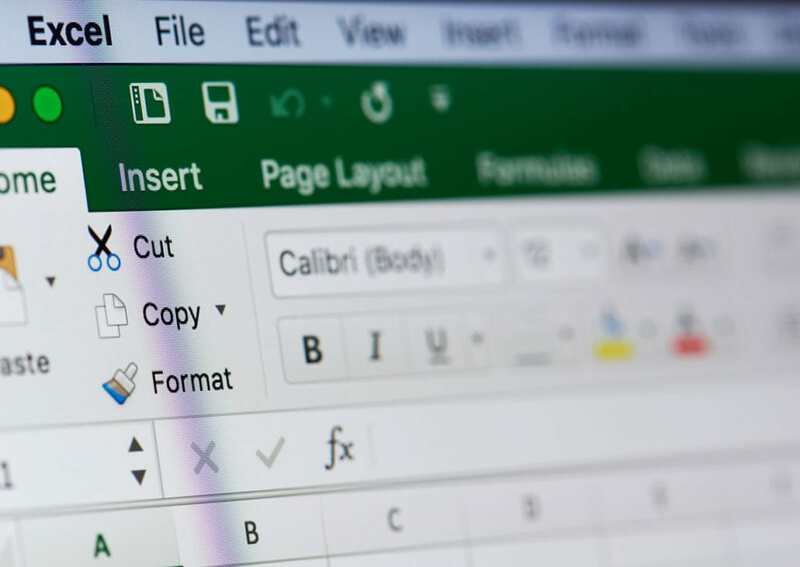 Using different versions of Excel can also lead to incompatibilities with style and formatting. Furthermore, spreadsheets are notoriously mobile-unfriendly, which is a problem for anyone who needs to enter data while on the go. To counteract these issues, cloud CRM software lets multiple users view the same data at the same time. Changes made by one user are instantly accessible to the others. This ensures that every team member always has a complete view of each customer. Meanwhile, a CRM with a mobile app gives you easy access to your customer and sales information on your phone or tablet. No matter where your work takes you, you can keep your records up-to-date. Due to Excel’s popularity, it’s generally assumed that if you send someone a file, they’ll be able to open it. However, the ease with which spreadsheets can be shared and opened poses a security risk. If an employee saves files to their personal computer and then leaves your company, it’s possible that they could continue to access company data — unless you remember to change the password on every single spreadsheet. Using a CRM that requires a login email and password adds an extra layer of security to your valuable customer, lead, and sales data. You can even go one step further to set permissions for what each user can view and modify within the system. And if an employee abruptly leaves your company? No problem. Simply deactivate them as a CRM user and rest assured that your data is safe. As your spreadsheets grow larger, using Excel as a CRM starts to create data overload. Unless you know the commands and formulas to extract and summarize small amounts of information, it can be tricky to gain valuable insights from your data. In contrast, a CRM can act as both a data warehouse and a reporting tool. Like spreadsheets, CRMs can store information on hundreds or thousands of contacts and transactions. However, built-in analytic capabilities allow you to view convenient data summaries in just a few clicks. Whether you’re trying to identify your hottest sales opportunities or identify overdue invoices, CRMs are designed to show you the data you need when you need it. These reports make it easier to assess your resources, plan for future growth, or make adjustments to projects and priorities. As a basic spreadsheet program, Excel functions essentially the same way for any size or type of business. But this isn’t ideal for companies that have complex processes or need more advanced tools. A custom CRM solution like Method:CRM offers far greater flexibility for businesses to develop optimal workflows. Method is built on a customizable, no-code platform that allows any company to tailor the CRM to its needs. For instance, construction companies may need an integrated system for tracking job stages and specifications alongside billing data. Meanwhile, a tutoring company may want to use an online application form that sends lead data directly to their CRM. Moving from Excel to a CRM allows businesses to think of data management beyond just columns and rows. When it comes to running your business, traditional spreadsheets have a lot of limitations. And as your business grows, using Excel as a CRM becomes increasingly difficult — if not impossible. If you’re struggling to operate within the confines of spreadsheets, it may be time for a change. True CRM software offers a better way to manage data about your customers, prospects, and finances. It also makes it much easier to share data across teams and applications. These benefits will improve everyone’s efficiency, which will ultimately help your bottom line.